If this doesn’t encourage you to squeeze in a workout today, nothing will: a new study from Sweden shows that women who were highly fit in mid-life were nearly 90% less likely to get dementia decades later. After initial exercise tests in middle age, researchers followed the women for 44 years. Both groups lived just as long, but those who could ride an exercise bike at a fast rate for 6 minutes in the initial test had a much lower risk of dementia later on than those who couldn’t complete the workout. The study, published Wednesday in the journal Neurology, couldn’t prove that exercise prevented dementia, and the findings aren’t a surprise — it’s long been known there’s a correlation between exercise and decreased dementia risk — but the results were particularly dramatic. About 5% of the women with the highest peak workload — those who were able to bike the hardest over those 6 minutes — developed dementia, compared to 25% of those with medium fitness and 45% who weren’t fit enough to finish the test, the study found. Overall, women who were highly fit compared to those who were moderately fit decreased their risk of dementia by 88%. The few highly fit women who did develop dementia became symptomatic at age 90 on average, 11 years later than the moderately fit. However, the study was fairly small — only 191 women took the initial fitness test, which means it’s hard to maintain statistical significance while breaking the group down into sub-categories of more or less fit. And all women in the study were Swedish, which limits the ability to generalize its conclusions to a more diverse population. Alzheimer’s and other dementias are believed to begin 15-20 years before symptoms even appear, so it makes sense that exercising in mid-life would affect the risk, Skoog said. Exercise alone is not likely to prevent Alzheimer’s, but the study shows people are not helpless in the face of one of the most feared, costliest and common diseases of old age, he added. And the same activities that help prevent Alzheimer’s — including avoiding smoking, getting adequate exercise and sleep and eating a healthy diet — also prevent cardiovascular disease, he said, making them even more worthwhile. “You can do something yourself to decrease your odds,” Skoog said. Maintaining a healthy lifestyle in mid-life, decades before disease sets in, makes sense, said David Knopman, a fellow of the American Academy of Neurology, who was not involved in the study. Although it is not entirely clear why exercise helps put off or prevent Alzheimer’s, Knopman said it’s likely that exercise maintains good blood flow to the brain. “(When) the brain is healthier from a vascular point of view, it can absorb more Alzheimer’s pathology before people become symptomatic,” he said. The message isn’t that everyone needs to run marathons in middle age, Knopman said, but a healthy lifestyle pays off. This type of study can’t say exactly what kind of exercise is best, or how much is needed — only a study that has a placebo group and tracks people going forward can do that, said Keith Fargo, director of scientific programs and outreach at the non-profit Alzheimer’s Association. 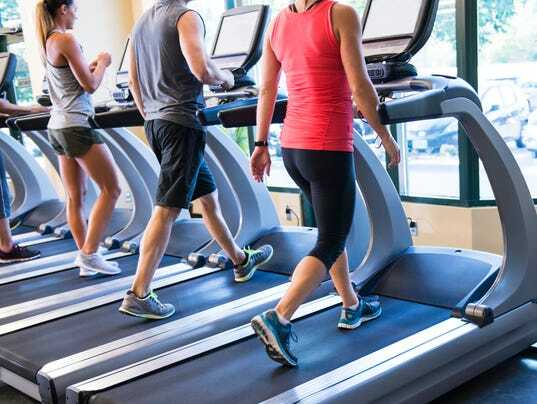 “The literature has not yet settled on an amount or type of exercise that is going to be key, although the bulk of literature has suggested that aerobic exercise is what you need to be doing,” he said. That doesn’t mean you have to compete in triathlons but “more than a 10-min dog walk” would be a good idea, Fargo said. Several lifestyle studies are getting underway soon, including one backed by the Alzheimer’s Association called the US POINTER study, which will offer at-risk adults, ages 60-79, a series of lifestyle interventions to see if they impact Alzheimer’s risk. That and other Alzheimer’s-related studies are always looking for volunteers to participate, he said. In the next three to five years, these studies should allow researchers to provide clearer recommendations for exercise and other lifestyle modifications that might reduce Alzheimer’s risk, such as sleep, diet and social activities, Fargo said. But it’s already quite clear that exercising at any point in life is better for your brain than not exercising at all, Fargo said.